Whoever said you don’t find a perfect match in arranged marriages hasn’t met Yashasvi & Ishan. 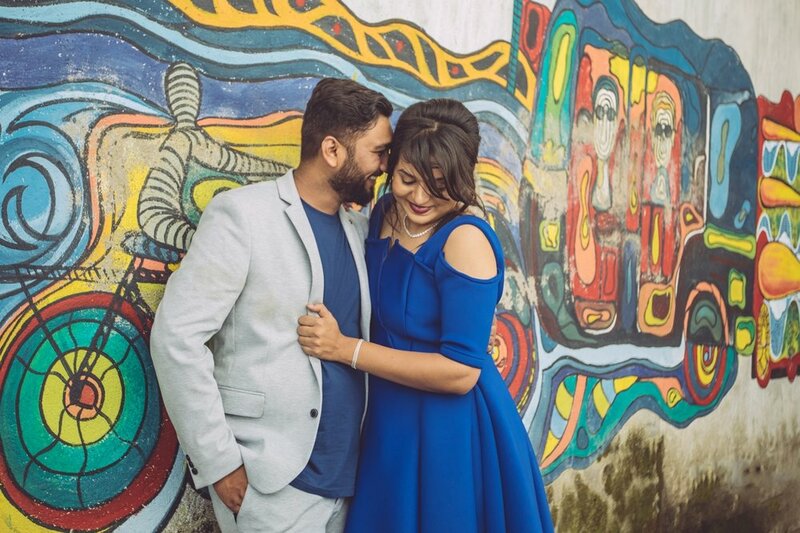 A classic case of “opposites attract”, Yashasvi & Ishan decided to tie the knot after much consideration and an initial refusal. Things like these make us believe in “meant to be”. They could’ve never considered each other after the naysaying at first. But maybe that’s where fate intervenes. Ishan comes across as a complete extrovert, whereas Yashasvi has layers which one needs to peel off before you could claim that you know her. But somewhere between these two extremes, they found a space to share comfortable silences. Ishan values every word uttered by Yashasvi because he knows that her words come from her heart and she weighs her words before speaking. Yashasvi & Ishan are as different as chalk and cheese. One of them loves travelling, one doesn’t. One of them loves car & bike rides, the other one, not so much. You’d be surprised to know that the one who likes travelling is the one to hate cars and despises the idea of road trips. That’s Yashasvi. Ishan loves his normal ride-&-eat routine. But she’s not fond of it that much. We told you it was a classic case of opposite attract, didn’t we? May there be shared laughter and sweet nothings, conversations flowing endlessly between them. Love includes a plethora of emotions, there’s not just one mood, not just one face to it. You’re lucky if you are able to find your constant, your anchor, someone to hold onto. Under blue skies or grey, be someone’s world of comfort. We hope they spruce each other’s life up with colours and kisses, stolen glances & coy smiles. After all, couple goals don’t consist of “take me to” trend, but creating a “let’s go together” trend.